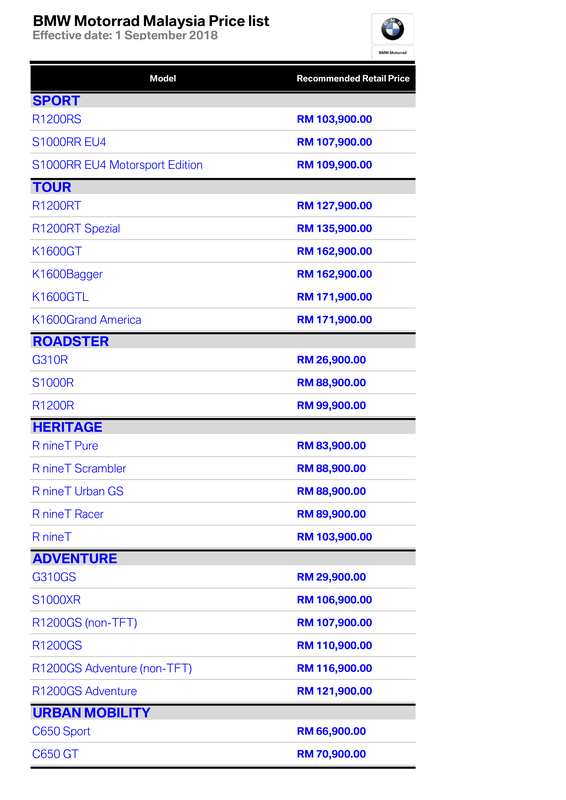 BMW Motorrad Malaysia has published the prices with SST. The SST (Sales & Service Tax) came into effect on 1st September 2018. 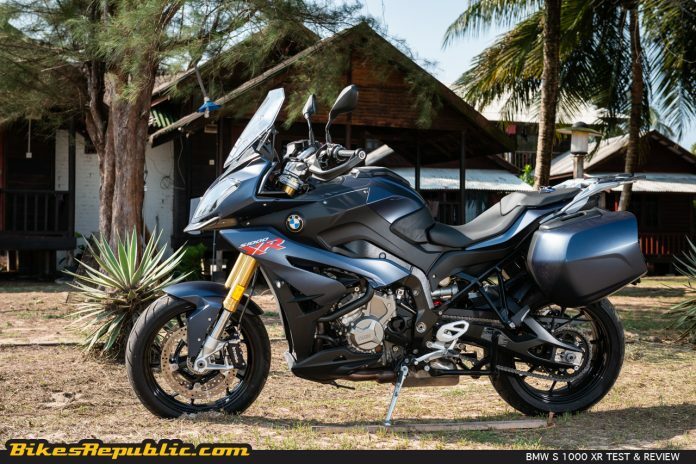 BMW Motorrad Malaysia has released the new prices of BMW motorcycles following the re-implementation of the Sales & Services Tax (SST) which took effect from 1st September 2018. 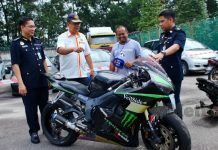 As outlined by the Ministry of Finance, motorcycles under 250cc are exempted from SST, without other details. 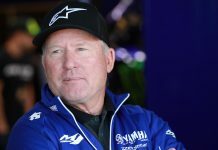 This meant that 10% SST is charged on motorcycles above 250cc regardless if they are CKD (completely knocked-down i.e. locally assembled) or CBU (completely built-up i.e. fully-imported). Generally, prices have definitely hiked compared to when GST was set at 0% but they are perhaps more accurate if compared to the prices when 6% GST was implemented. 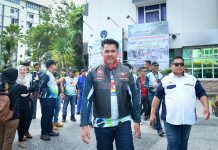 Almost all models see price increases between RM 1,000 to RM 3,000 compared to when 6% GST applied but there are exceptions where the prices remained the same. 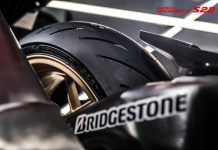 Let’s take a look at a few key models. 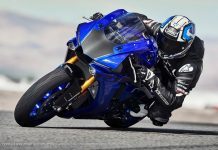 In the Sports category, the prices of the ever-popular S 1000 RR superbike went up by RM 7,000 compared to 0% GST, but only increased by RM 1,000 over their 6% GST prices. 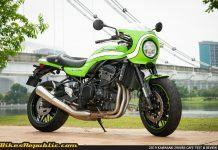 The R 1200 RS went up by RM 2K. 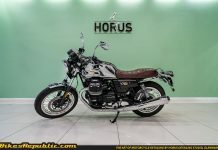 Price in the Touring range which includes the R 1200 RT and K 1600 variants however, increase between RM 2,000 to RM 3,000 compared to compared to 6% GST. 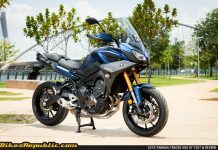 The Roadsters, or “nakeds” for want of another definition, see their prices hiked by RM 2,000, except for the G 310 R, whose price remains at RM 26,900. Over to the Heritage line-up, prices for the R nineT range see an increase of RM 1,000 except for the R nineT Pure and R nineT Racer variants. As for the Adventure category where the R 1200 GS resides, the price of the G 310 GS remains the same at RM 29,900, while the rest see their prices increased.